“Lessons from Tara,” by David Rosenfelt. St. Martin’s Press. $25.99. While the psyche of countless animal adoptions stretch far from home for the author and his wife, Debbie Myers, stretch far from home, it’s the angst and admiration these creatures have brought upon the couple’s lives that is front and center here. Call their previous Southern California and present Maine homes what you want, you wouldn’t be far off with labels such as Doghouse, Madhouse or even Animal House, the latter referencing the 1978 film classic. Keep in mind the resident canine population ranged from 20 to 42 under those roofs, with only two less than 50 pounds. Crazy, challenging and even comedic at times, Rosenfelt captures the persona of many of these senior citizens whisked out of Death Row in a wide mix of Southern California shelters to eventual adoptions or resident status at home. 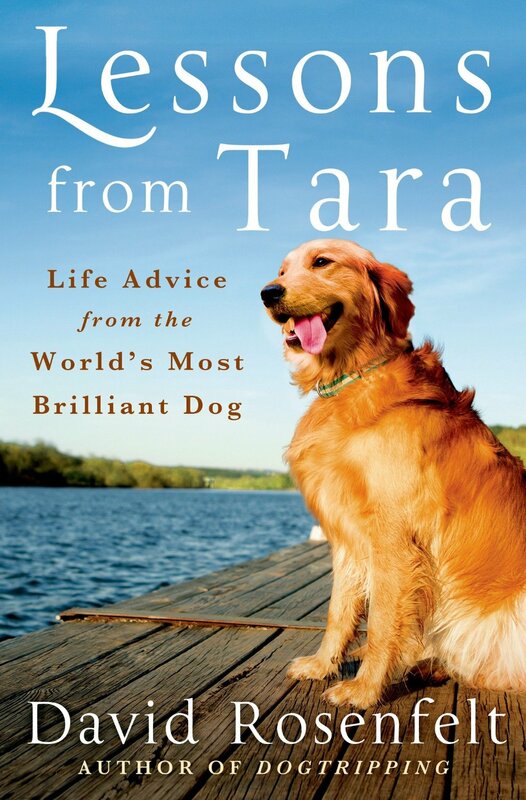 While Tara never met any of the couple’s canine adoptees, “she saved every one of their lives,” writes Rosenfelt. Tara’s impact was so meaningful that Rosenfelt says he can divide his emotional life into the period before Tara and that after. “She taught me sensitivity, and compassion, and gave me emotional depth,” he says. Rosenfelt’s prose boasts an engaging texture throughout, whether he and Myers are extracting a senior citizen from an overloaded shelter or trying to establish a sleeping position on the bed at home with Myers and four former canine castoffs. Much of the volume reads like a lovefest, as Rosenfelt smoothly demystifies the word rescue into family member. In the process, the author pokes fun at himself and pokes fire at those unwilling to make a lifetime commitment to their pooch. Characterizing Maine’s weather as “canine climate gold” compared to Southern California, Rosenfelt describes Animal House: “Our dogs form a well-oiled machine, displaying the kind of teamwork that CEOs and football coaches only dream of instilling in their teams. “These dogs don’t do it for the glory. Or the biscuits. Or the petting.